With the season rapidly passing by, the Cowboys are heading into Green Bay looking to snap a four-game demonstration of how not to win football games. While the Cowboys have been out of only a couple of games so far this season, the team has managed to find creative ways to lose in the others. With Tony Romo out for the foreseeable future, Jon Kitna will try to resurrect this awful season. 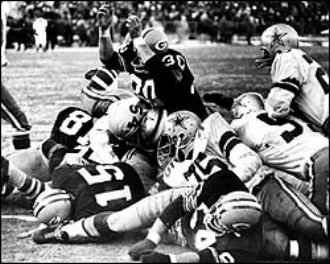 It will be another tough task this week as the Cowboys head to Green Bay where they have very limited success in their history. The Cowboys own a 1-6 record all time in Lambeau (playoffs included). The Packers have had an underachieving season themselves. Expected to be dominant this season, the Packers have been anything but. While they have struggled with injuries to key players, QB Aaron Rodgers has not had a lot of help in leading the team. The Packers lost starting HB Ryan Grant to injury and his backup, Brandon Jackson, has been spotty. The lack of a consistent running game is nothing new to either team this season. The Packers have a great defense that has been able to hold them in games when their offense has seemed to sputter, but the real problem is that neither unit plays great every week. It seems each week either the defense or offense lets down the team. After disappointing loses to the Redskins and Dolphins, the Packers were able to right the ship against the Vikings and Jets in the last two weeks and will look to continue that this week. 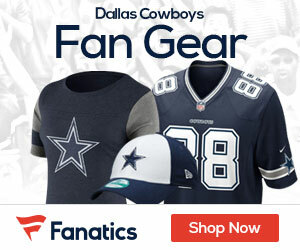 The Cowboys have so many problems it is hard to say what they will need to do successfully this week in Green Bay. The Cowboys just keep finding ways to lose, and after they did not show up last week against Jacksonville it will take a huge turnaround to beat the Packers on the road. One thing for sure is the Cowboys need to run the ball. Felix Jones and Marion Barber need to get going. The return of G Kyle Kosier is an upgrade over rookie Phil Costa who has been less than impressive in one and a half games. The Cowboys also need to do a better job protecting the ball. Last week the Cowboys had 4 interceptions, all but one were deflected off of Cowboys receivers. The Cowboys defense has also had it’s problems the last couple of weeks. The Giants exposed the Cowboys blitz packages and the Jags kept that going last week. If the Cowboys are going to get a win in Green Bay their defense will have to disguise their intentions a whole lot better than they did. They will also need to force some turnovers. Green Bay does not have a good run game, but if you get lazy Brandon Jackson can run. The Packers have a great group of players on offense. While they will be without HB Grant, and WR Donald Driver, they still have a lot of weapons. WR Greg Jennings is Rodgers favorite target and has tremendous speed. Look for the packers to get Jennings and his receiver mate James Jones the ball down the field and test the Cowboys secondary. If the Packers can keep pressure off of Rodgers they will be in for a big day on offense. On the defensive side the Packers are one of the best in the NFL. They will use their linebackers Matthews and Hawk to get pressure on Kitna and force him into making some bad decisions. The Packers are stout against the run and will try to take that away. 1) Dez Bryant and Jason Witten – The Packers will take away Miles Austin, so look for Kitna to use his underneath playmakers. 2) Cowboys Running Game – Can the Cowboys offensive line get a good push against the Packers defense? 3) Aaron Rodgers – The Packers will win if Rodgers has a good game. If the Cowboys defense gets to him, it could be an upset in the making. 4) Cowboys Defense – They need to rebound after two terrible performances. My Prediction: Cowboys fall to 1-7 with a 31-13 loss. Sorry Big D.